This is definitely Ultra Durable. It's handled everything very well. It's got USB Type-C, M.2 slots, Crossfire AND SLI capability. Love the black and gold. It's bios is very easy to work with which makes overclocking a breeze. It also has a light going from the front audio connector to the back headphone jack. It can stay on, pulse, beat to the music, and be turned off. 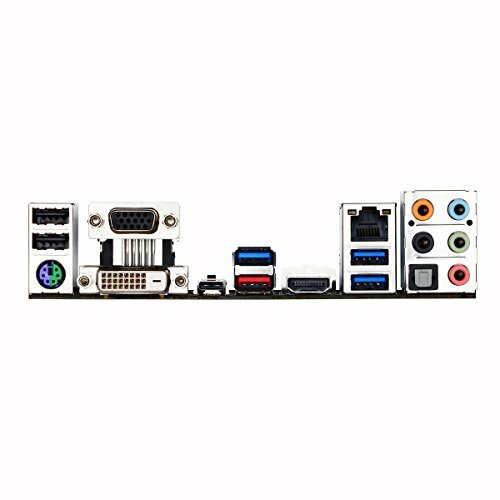 I absolutely love this mother board and it is worth the extra money to buy it. It has a pristine appearance with a color scheme of black and gold with beautiful golden LEDS running down the side of it like a stream. The only real issue I had and this is due to a manufacturing standard by Gigabyte, but there was an stint hole which I had to leave open due to my case not having a place for it. Other wise it mounted into case just fine. The only real issue I ran into came with the IO shield which due to it's design jutted out from my case which made it an issue to put my mother board in. Not sure if it was the IO shield, my case, or user inexperience. 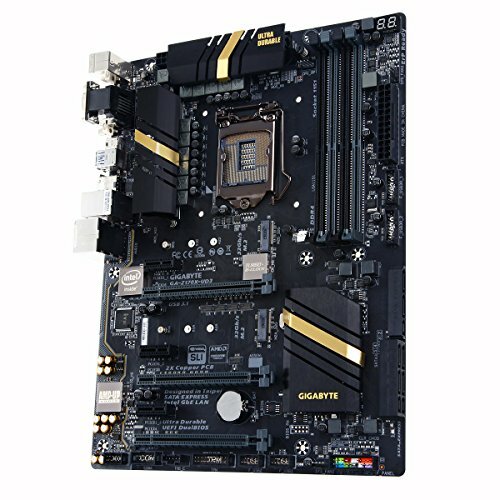 Otherwise great mobo with easy BIOS navigation. Very attractive board, subtle but still has a slight pop with the looks. Audio is fantastic, overclocking is astounding for the price, and overall is perfect for my build. I had got this one on sale but I think its worth the original price. very sturdy board you can tell the quality of it and it hasn't failed me. Pretty good features and easy to overclock CPU. Really great motherboard. Clean BIOS/UEFI. Clean design, the led lighting is pretty nice, wish it was a tad bit customizable. Only downside of the motherboard is it's unusual ATX size. It's a tad bit narrower so it will only use 6 standoffs, so be careful when installing some parts. Attractive and nicely laid out board. - non-standard width, which means for my case at least, the right-most standoff didn't have anything to screw into. - USB won't work until you've installed drivers, which meant I couldn't load Windows off of a USB stick. - It doesn't support output from the integrated graphics at the same time as a discrete card is installed. This isn't a big issue, but I have an old VGA monitor that I wanted to hook up as a second monitor, and I didn't want to buy a displayport-VGA adapter. None of these really matter for me, but it's hard to find this sort of information anywhere so I wanted to mention it. Sturdy, good-lookin, and full of features! The debug code, the gold audio panel LED, the numerous fan headers, SLI compatibility, easy overclocking and the fantastic I/O with usb-c are a few of the things that make this board worth its price! Having said that, I have two main problems with this board: (1) it's unusual width makes it narrower than the standard ATX size which means it might not fit all of your cases standoffs. That is in fact the case in my S340 elite (it misses the three on the right hand side) but I have yet to see or feel any structural risk or pull. (2) it's also ever so slightly thinner than other boards which poses a problem when installing your coolers (whether than be AIO or fan) - had to do some DIY problem solving to overcome this (read build description if interested) but it was quite annoying to deal with a problem like that when paying so much money for a MOBO. 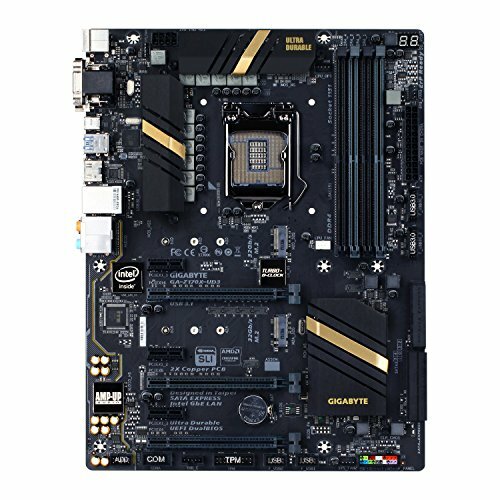 If these two issues either pose no relevance to you or you feel you can solve them then I highly recommend this mobo for any z170 chipset build. from completed build Ol Mishmash, Sometimes works. Kind of an odd mounting system but it works just fine. 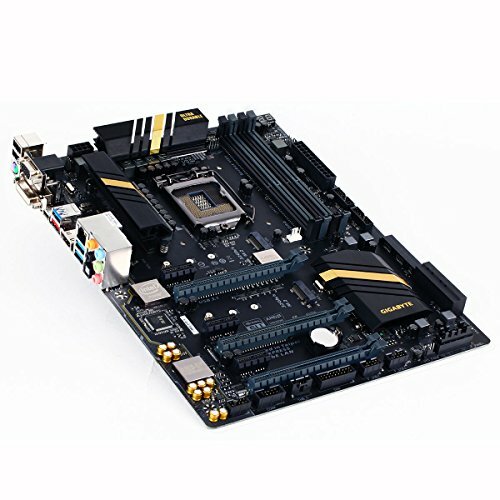 The board is nice and sturdy and all of the RAM slots are perfect which is a pretty common problem for mobo's. Bios is pretty nice but kind of slow. The board is great, all the plug ins you could need. The yellow LED light that it has is nice, but definitely does not suite by red and black build. But I did get this for FREE from a family member so there is nothing to complain about on my end!